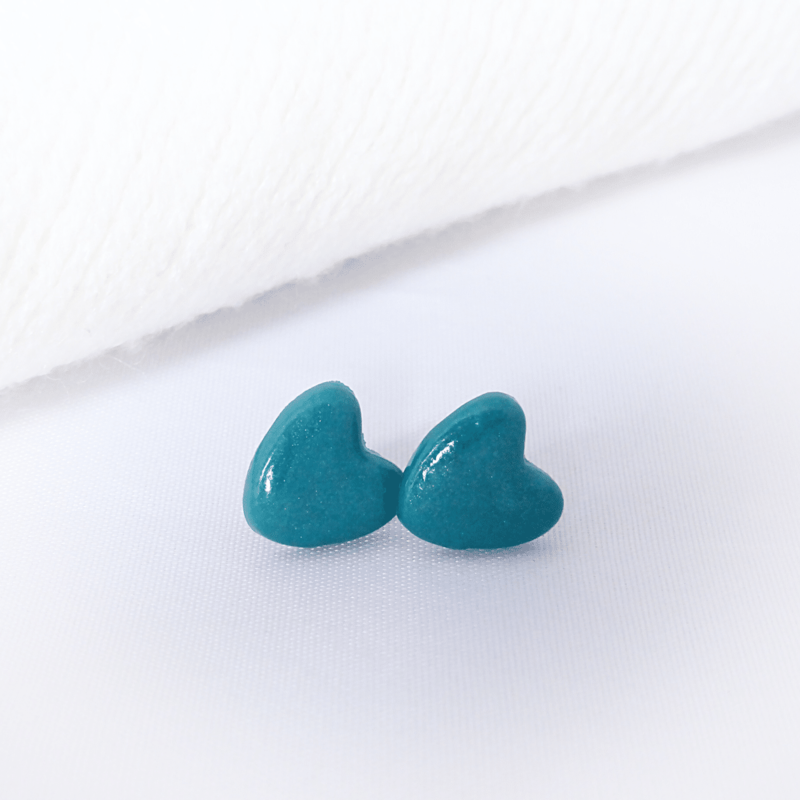 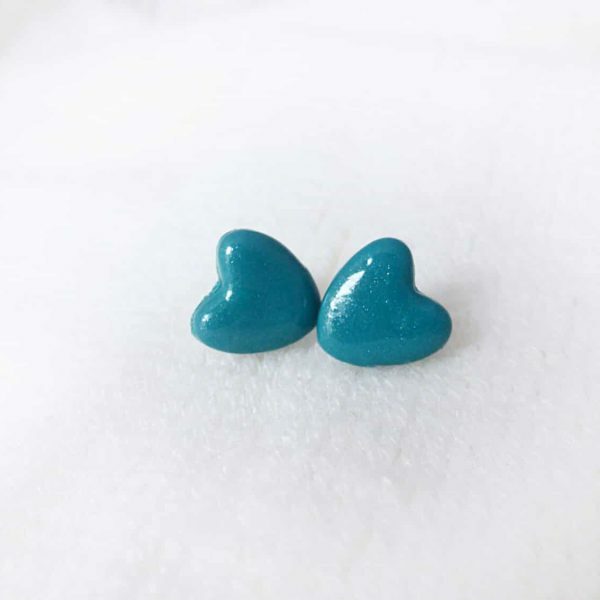 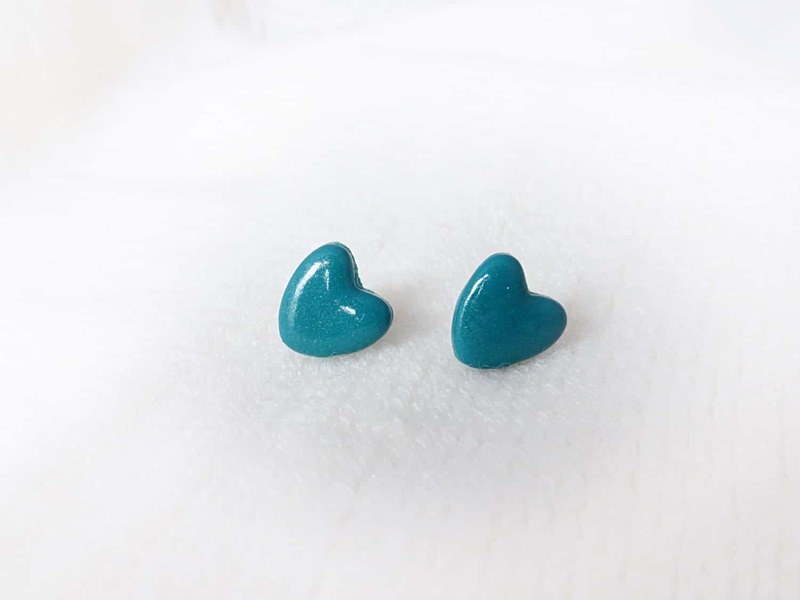 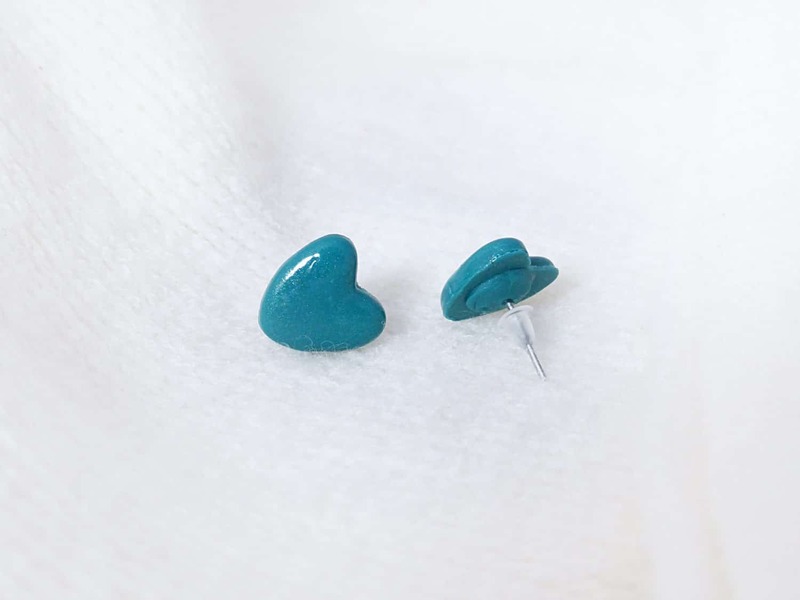 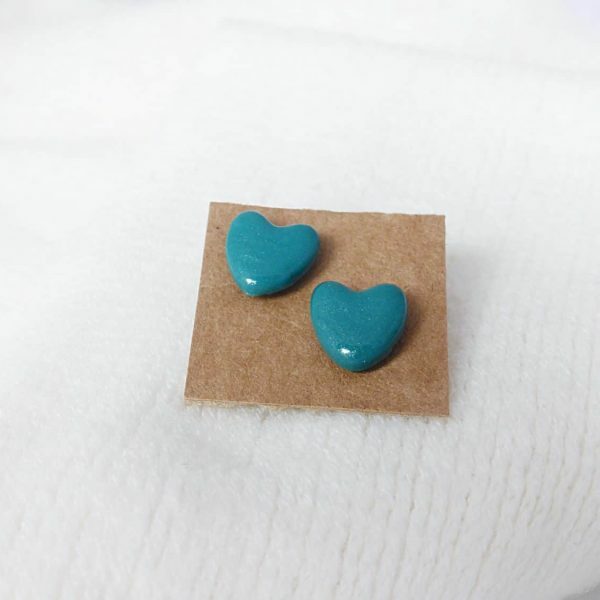 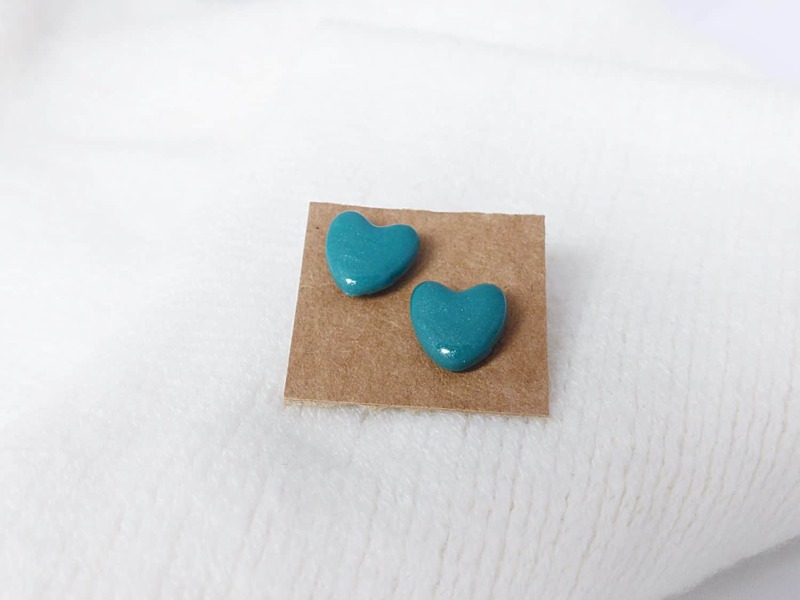 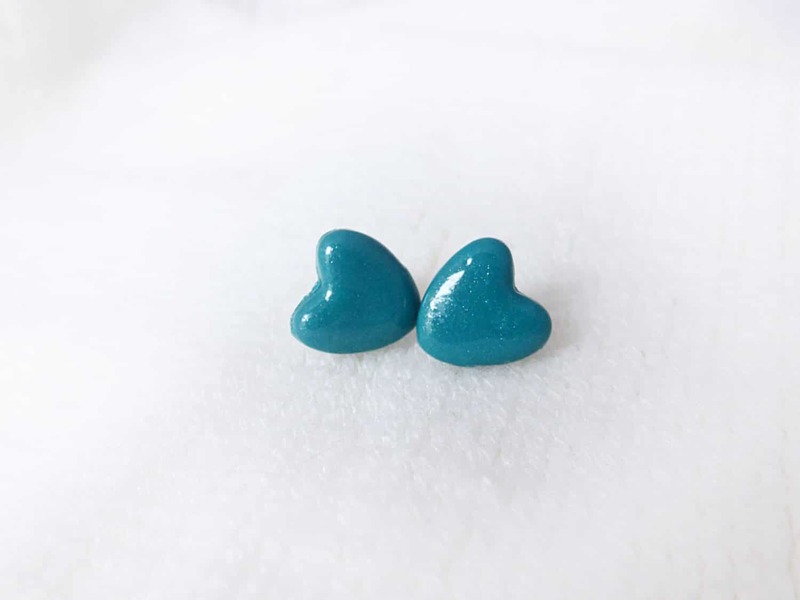 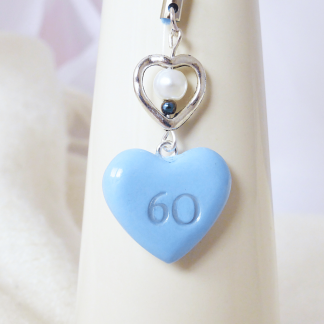 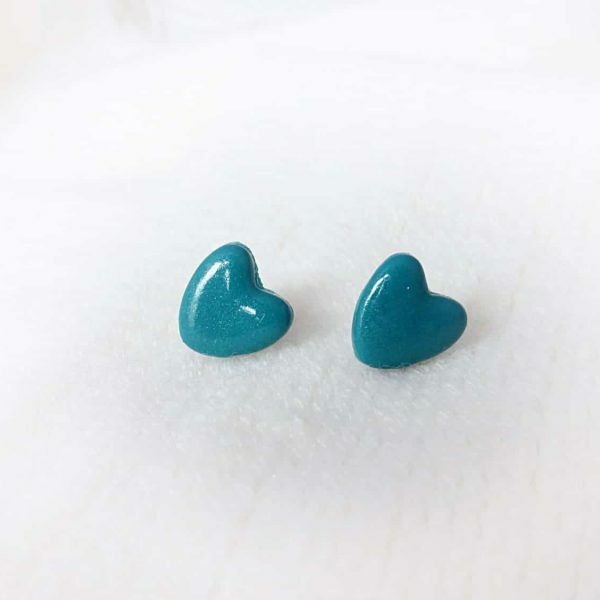 Simple teal heart stud earrings lovingly handcrafted from Polymer Clay. 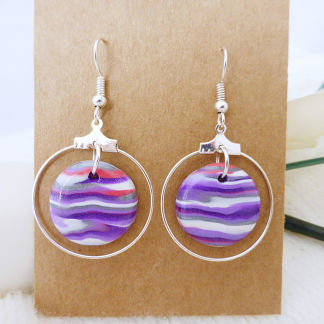 Glazed for shine and protection. 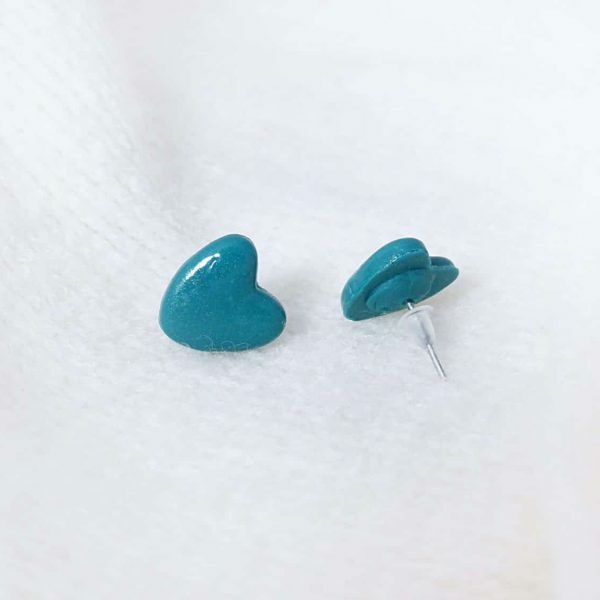 Hypoallergenic soft flexible earring backs. 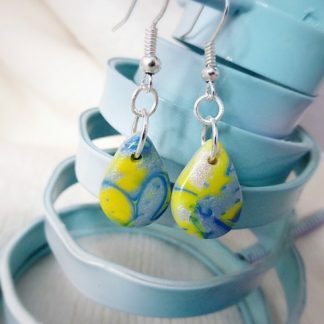 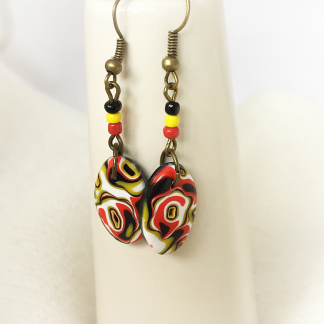 Dangly Oval Colourful Earrings, Black, Yellow, Red, White, Bronze Earwires, Handmade, Polymer Clay.